Brian, I just heard on a recent podcast about some guy who doesnât like your podcast and says he is unsubscribing after 2 years. My question is this. Why did it take him 2 years to figure out he didnât like the podcast? His beef had something to do with you doing tech reviews and such. Anyway, I want to say that I enjoy all your podcasts very much. I love how you donât sugar coat anything. You tell everything how it is even if it sheds a negative light on your skills and abilities. You are not afraid to be who you are, and share your experiences with other in an attempt to at least inform others. Keep up the gear podcasts. Keep on keeping it real, and stay Gritty! And still the standard bearer for hunting podcasts. Itâs not just about rehashing hunts, itâs about getting ready for the hunts and methods for doing it. Much better at gear review than all you jackwagons thought heâd be and is an authority on nutrition and exercise to get ready for days on the mountain. Tired of listing to Brian and his rants. 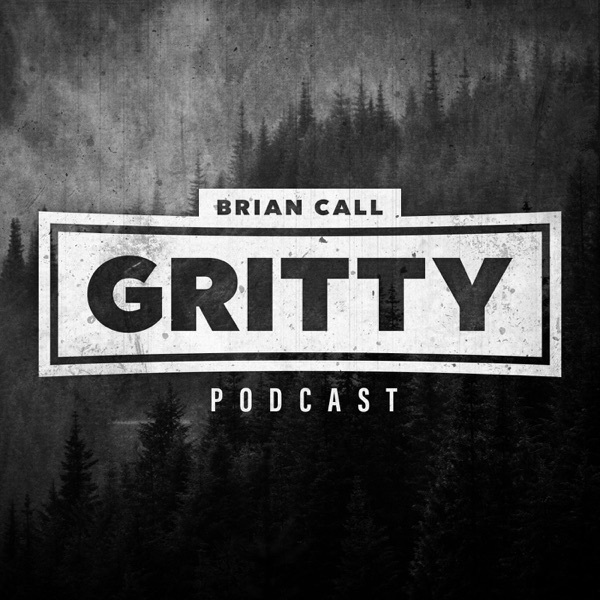 No one wants to listen to Brian Call at beginning of the podcast and what your daily life entails, or how money doesnât bring happiness and what movie you just watched. Stick to hunting and outdoor related subjects. We are listening to hear your guests speak and what skills and ideas they would like to share with us. I would rather listen to most boring Kifaru Cast - Podcast ever released all day long for a week, then have to hear Brianâs voice talk about his Low T or hormone doctor. Hopefully you have a day job because this will eventually fizzle out for you. I have been interested in archery and bow hunting for as long as I can remember. I never had the money to start shooting when I was a kid. Now that I am on my own Iâve been spending all my money on learning to shoot and all that, your stories and the people you talk to have inspired me beyond imagination to hunt. I canât wait to go on my first hunt. Each episode I consume feeds my hunger to collect my own meat even more. Thank you for all your values and positive educational stories!! Keep up the good work. Keep bringing more hunters into this world with true ethics and morals. Thank you thank you thank you! Brent, Iâve seen you a handful of times at the MTN OPS gym. Iâm goin to start your workout program!! Brent Smash! Love the podcast guys! Been a huge motivator for me in various aspects of life. Question for either of you, Iâve been needing to step up my physical activity a work on some weight loss. My biggest struggle is finding the motivation. I can take supplements etc for the energy when Iâm tired but what do you do for the mental drag?? Thanks guys! Stay gritty! If you donât agree with local laws itâs okay just break them! Brian says so. Was much better when it was the gritty bowmen, other than the DC outfitter stuff thereâs not a podcast in the last 6 months Iâve actually gotten through. Finally unsubscribing. Brianâs whiney rants are too often anymore. Quality went down hill after Snyder left, but I hung on. Then once he said he doesnât feel like killing an animal illegally if it is feral is a big deal, he lost me completely. Lots of information from lots of different folks for lots of different folks. This podcast has lots to offer and no ones perfect. I do disagree with Brianâs as well as his peers perspective on ranching. Many times now you guys bring up raising livestock and generally itâs in the form of factory farming. Thatâs not the whole livestock industry and you are speaking out of place when you say this. With out ranches we could not sustain hunting, in no way could we maintain the population or the native grasslands if we all hunted for our produce. So please either step off your high horse of i brain call are more ethical than thou or educate yourself so you can actually speak on the topic. Ranching communities do far more for native grassland restoration and contribute heavily to game populations all across the U.S.
Brianâs calm demeanor and extreme passion for all things hunting makes this one of the best, most unique, hunting podcasts out there. I appreciate the wide range of topics he covers, his insightful guests, and continued drive to make his show even better. A must listen. If you donât like Brian and this podcast then youâre the problem! Your podcast is great and I appreciate all the hard work you do to create great content. Please please please tell us when the interview starts. Great podcast for everyone. Has good content for learning even if you already know. Yes maybe there is some episodes that donât interest me personally but I just donât listen to that whole episode and listen to the ones that do which is most of them. Keep up the great content Brian. Grittybroman you freaking crack me up man. You always have something funny to add. Love it guys and stay gritty! Gritty show is great all these bad comments are just people wanting to hate.like my momma said if you ainât got nothin good to say, donât say anything at all. If you want great info about brands good hunt stories and just all around great conversation then give this podcast a view! Brian Iâm not sure I like you. Iâve been listening since the beginning. At first I really liked the dynamic between you and Aron, at first. But then it started to bug me that Aron was âcensoredâ and I always felt like he was holding back. And sometimes Brian sounded a little preachy to me. Then the split! And I was like crap now I have to make time for twice as many podcasts. I donât listen to every Gritty episode any more. However when I see a guest or topic that interest me I give it a listen and Iâm never disappointed. What I used to take as Brian being preachy I now see as a man who has a family and a faith and who isnât afraid to put them first. As a former USMC combat engineer from Oregon Aronâs sense of humor really hits home with me. But every once and a while Brian makes a funny that makes me laugh. So like I said I donât know if I like Brian. But I know I donât dislike the guy or his podcasts. So I guess Iâll just keep listening and leaving some 5 star reviews. Steve Rinellaâs âAmerican Buffaloâ was about a bison hunt that took place in Alaska not Canada, and if I remember correctly they were not part of a herd that migrated. They were part of a herd that was transported, and released in that area. This could be a great podcast but it doesnât make the hunting community look very good for them to be constantly promoting a hunter who has been accused of poaching in Australia. He (Adam Greentree) is yet to be proven innocent and yet to even make a statement about these charges. You are the company you keep. This podcast is a Game Changer! If it was gear it would be bomb proof. One hundred percent! Sorry I had to. In all seriousness, I do like the guests and the variety of topics. Brian,I listened to the podcasts on masculinity and hunting with Ryan Michler, I know you and I have commented back and forth and you know I love the podcast and listen to it daily! I especially loved both of these and I completely agree! One thing I thought was pretty cool was how you and your brother talked about the previous podcast from 2017 ATA with Aron Snyder and Kristy Titus. I was actually there and wish I could have heard the part about the fight A-Aron had with his friend live. Thatâs hilarious! Thatâs how I am with my friends but you can also tie that into this podcast about masculinity. Modern day society is very weak for the most part. You know our grandparents and parents fought with their friends like that when they were growing up and it was nothing to see them get up laughing bloodied and bruised. Iâm glad thatâs how I was raised. Anyways thanks for everything you do! I look forward to your podcast every day! Only thing is I miss the intro-pep talk and the epic quote at the end but I know you got to mix it up! Stay Gritty! Selling my 07 jk because Iâve found the 93 cruiser is superior. I started listening to Gritty Podcasts after listening to one of Joe Rogans podcasts on predator management. I now listen to the Gritty podcast almost every day listening to the old episodes, and keeping up with the current. Brian Call and his team do an excellent job on informing the public on conservation and what the true definition of a hunter is. They always have awesome stories to tell about there experiences that keep you listening. You learn a lot about how to hunt certain species and how truly difficult it is to be a bow hunter. The Gritty team has inspired me to push myself to be a better bow hunter and will inspire others as well. I can go on and on about this podcast! Thanks for all you guys do! Stay Gritty! Really enjoy the podcast but Brent needs to stop trying to be cute with everything he has to say, its obnoxious. The recent episode with Aron Snyder all the condescending comments Brent made in the beginning were derailing of the topic at hand and were just annoying. My Instagram is travismccollum if you feel the need to respond. I think itâs great youâre going on this journey together as family but when it comes to topics as touchy as predator hunting there needs to be a level of professionalism as well as acknowledgment and understanding of the oppositionâs feelings. Without that we are simply building a bigger divide between our groups which is not the answer. I just recently got into hunting and went on my first bow hunt this last season. I didnât even get an animal and Iâm hooked. This podcast gets me really excited for next season and gives awesome information about hunting, gear, fitness and everything in between. Iâm so happy I was able to come across this and gain more knowledge in bow hunting and hunting in general. Awesome stuff! Iv always enjoyed listening to your show but not that you do the negative and positive reviews itâs even more sweet! The voices your brother does of the reviews are priceless. Please continue to do that in your shows and keep up the good work! Looks like great guy with guts to hunt hard ! Great info, good flow, and the best intro ever. Always fires me up! Great podcast that shows multiple points of view and introduces listeners to new products, new ideas, and talks through controversial topics. Brian is an awesome interviewer by doing a great job asking questions to keep the conversation going and shows he really loves his platform. Brian is a great guy in person, I meet him at the Mtn. Ops headquarters in July after Total Archery Challenge in Big Sky, MT. I just said âHi, love your podcastâ, he then took 30-45 minutes out of his day to talk about backcountry hunting and archery! Thanks for this content, keep it going! I am a dedicated listener! Iâm new to the elk hunting game and Iâm trying to soak up as much content as possible. Gritty Podcast is really worth the listen. Lots of tactics and strategy talk plus lots of entertainment too! Good information on hunting, archery, backcountry, and life philosophies. Some occasional episodes are more fluff than subustance but overall Gritty is well done. Reminds me to be gritty! I have been subscribing and listening for about a year. The content is informative, inspiring and also fun. I was in fact sitting in the rain on top of a PA mountain last Saturday, without rain gear, freezin', bow at the ready, and so badly wanting to bail out, but chanted in my head "Be gritty, be gritty, be gritty. . . .". Proud of yâall and the way you present the love of our outdoors! You are bringing good content and strong ethics to the hunting and outdoors community! Keep up the Strong Work!